Interpol World is a global co-creation opportunity which engages the public and private sectors in dialogue and fosters collaboration to counter future security and policing challenges. Interpol World comprises of three interlinked activities: a series of niche and targeted platforms for knowledge exchange culminating in strategic co-creation labs to discuss the challenges and solutions for combating the crimes of the future; an exhibition that serves as a business and networking event for manufacturers, distributors, and Research and Development organizations to offer innovative products and cutting-edge technologies to public and private entities involved in law enforcement, security and likeminded industries. Interpol World will also host a series of Interpol working groups (by invitation only) focusing on innovation, artificial intelligence, drones and darknet cryptocurrencies. 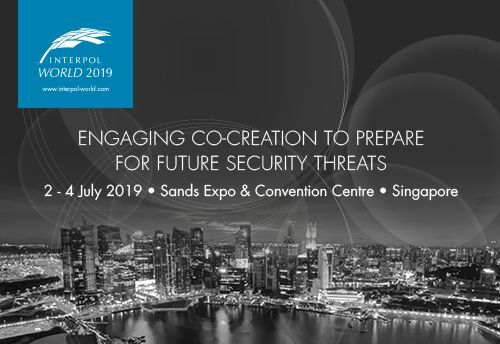 Police, public, security professionals and commercial buyers from around the world will convene in Singapore to forge mutually beneficial alliances leading to faster, more accurate responses to global security and public safety threats. Register for the exhibition at the link provided.